The concept sounded neat from the start but while I was looking forward to seeing it in action, I didn’t expect it to be capable of producing quite the exhilarating moments it turned out to throw at me by the minute. The initial disappointment that it was all over a little too early was quickly forgotten, once I discovered that I had just as much fun playing through the game again as I did the first time. Moreso, in some cases, especially with some of the special rules in the various challenge modes. Maybe the multiplayer is actually better this time around, maybe I’ve just gotten much better at utilising its movement system, but damn did they get the controls and the feel of it all down perfectly. Wallrunning, sliding and bunnyhopping around while trying to still somehow hit your enemies is a hell of a lot of fun. I’d be satisfied with that multiplayer experience alone, I loved the original Titanfall already after all, but they even managed to deliver an immensely varied and just overall rather stellar singleplayer campaign on top of that this time around. For some reason I got this idea in my head earlier in the year, of a game that I wanted to play - like minesweeper but without the guessing. I googled and I stumbled upon Hexcells. I actually played the whole series this year, but I’m giving this spot to Infinite because I really enjoy the procedurally generated levels. They’re not quite as good as the handcrafted ones, of course, but I’ve been coming back to the game to knock one out time and time again. All of Hexcells is just supremely designed logic puzzles, I had a great time. I came for the beautiful pixel-art and some farming, I stayed to be friends with everybody. The game would’ve been a bit of relaxation and fun, but what really made it stand out to me were the characters. Even though it’s a very game-y way in which you get to know everyone (giving out presents to raise relationship points) getting to know all the people in town was what really kept me going between raising animals, mining and harvesting the crops of the season. I like this game a lot for a strangely similar reason to Stardew Valley: I really felt (and feel, since I’m not quite done playing) connected to my pawn. I can imagine that some people would be quickly annoyed by the constant chatter from your helper (and others you may have hired) but it completely endeared them to me. Whenever they came back from assisting someone else in their game, I felt a sense of pride when they were deemed to be helpful. That’s not all of the good this game has, the combat is the other aspect that I would say stands out in particular - but the pawn system is the definitely *the* thing Dragon’s Dogma has going on. It elevates it from what would otherwise be a quite good action-y RPG to a marvelous one. There were a lot of great first person shooters that came out this year, but DOOM really knocked it out of the park. Most importantly for me, it succeeds in transporting the levels and shooting of yore (or at least a version that feels like that) into a modern context. I played through twice, then a third time when arcade mode dropped - and I don’t feel like I’ve had enough of it yet. Reveling in its carnage is so immensely satisfying, it is intense action in a finely tuned machine of demonic slaughter, all the time - and I love it. The last Hitman game I liked was Hitman 2. For some reason or another none of the other titles in the series clicked for me. The most intriguing part of all the Hitman games always was the promise the gameplay concept held, but none of the games could live up to that - but now they’ve finally made good on that! I didn’t initially love it, but as soon as I started to realise that the game didn’t conform to rules of the real world but instead to only its own (it really is a world of assassination) and I started testing its limits it started to grow on me. And it grew more and more, the more I played it. I’m not done with it, in fact, looking at the sheer volume of escalation missions and the like I think I’ve barely scratched the surface but I’m so excited to play all of those. Every level feels like something to be slowly unwrapped and discovered and there’s something new, fun and exciting to find on every playthrough. Fran Bow came completely out of nowhere. I typically am not a big fan of point&click adventures, so this doubly surprised me. It starts with an intriguing premise - you control a little girl institutionalized in a psychiatric institution. And that girl is something else. Through her eyes I saw what I can only say is definitely one of the most imaginative worlds I ever got to experience in a game. I don’t think I could do it justice if I tried to describe it, especially not in vague terms (since I don’t want to spoil it), so I’ll mostly leave it at that. I’ll just add that it managed to evoke a rare sense of wonder, and somehow felt both grim, dark and at times violent while never ever losing its unrelenting sense of hopefulness. It’s a truly amazing experience. This is probably the most obviously flawed of all the games on my list, yet none of those flaws detracted from my experience. Finding the optimal path while marveling at the scenery as it is rushing by, shaving a few seconds or just fractions of seconds off with a new trick or a slight optimization - it’s just something I cannot do in any other game. Immediately after finishing it, I started up a new game and went into it again. I've now basically 100%ed it twice (sans collectibles) and I still feel the itch to start it up again. In the end that sheer joy of running, which they nailed down to perfection, outshines any of the slight annoyances I might have with the game so brightly that they don’t even matter anymore. I don’t think there’s much left to be said about why I love this game. Everyone who has played and enjoyed it will know exactly why - and they probably do as well. Having been a fan of the series since the beginning adds a little something as well, having known the characters for years now. Hearts of Stone was one of the best questlines in a game filled with nothing but amazing ones already and Toussaint is such a nice change of pace and scenery. Witcher 3 is easily my favorite game of all time and even going into the expansions with the expectations that they’ll live up to it, they did not disappoint at all. I played quite a bit of Overwatch and Street Fighter V this year, and even though I had a great time with both of them, my opinion of both cooled after a while. I’m still in the process of ordering my thoughts on Civ VI - I like it a whole lot so far, but I’m not sure how much just yet. Shadow Warrior 2 just barely didn’t make the list, I loved it the first time through but got a bit bored a second time around - something I can’t at all say about other games I played through multiple times this year which did make the list. The Witness is a game which both fascinated and annoyed me. I mostly had a good time with it, but some of the puzzle concepts I did not like at all. Inside deserves a shoutout just for its stunning world building, art direction in general and animations in particular - the actual playing of it I wasn’t particularly fond of. Looking back at 2016 in gaming as a whole, it was one of the best years in some time. A whole bunch of great games came out, there are also some that I’m pretty sure I’d enjoy, but I haven’t gotten around to yet: Dishonored 2, XCOM 2, Deus Ex, Rise of the Tomb Raider and Planet Coaster come to mind. Maybe some of those will make an appearance on next year’s list. Also huge thanks to Clockwork for running this thread every year, echoing the sentiment of many - I really, really like reading it! I love that we're taking Aaron's idea of hero images for each game and running with it. Overwatch is my GoTY. It was my introduction to team-based FPSs and I really enjoyed it. Everything a shooter should be: easy to learn to play (and to reach a point where one feels that one is contributing); hard to master. A special mention for Blizzard's decision to dispense with K/D ratios, and instead to use 'eliminations' and 'final blows'. More developers should do this. Battlefield 1 is probably my second favourite game of the year. Multiplayer is what it is, but the campaign really stood out for me. Perhaps too short. Perhaps overly frustrating in parts. But probably one of the most visceral FPS campaigns I've played and certainly the most thought provoking. Finally, an honourable mention to The Division, which was great from levels 1-30. Ruined for me by the Dark Zone and the End Game's grind, needlessly complex currency system and missions (I only played Falcon Lost, but it was enough). You know, it just occurred to me that Blood and Wine was better than many full games. I voted for W3 as my top pick last year.... is it within the spirit of the rules to also vote for an expansion pack this year? 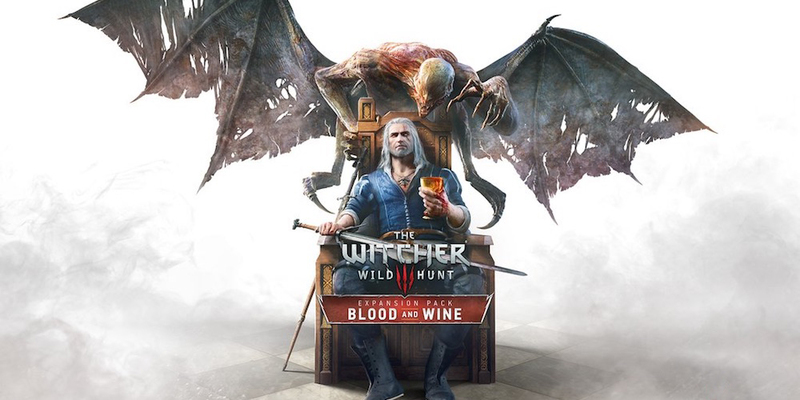 Spoilers for my list, but Blood and Wine is absolutely my number 1 game this year, and I don't care that I voted Witcher 3 number 1 last year. Normally I wouldnt do that, but as you say, Blood and Wine is better than most full games (and bigger by far). I think it's totally justified, and allowed by the rules too, such as they are. I will definitely be voting for Blood and Wine even though I voted for The Witcher 3 last year, it's just too good not to be recognized. Clocky has foreseen this all, and you are foolish not to trust her. I'll be honest, you inspired me a long time ago with that. And Clock. I'm sure there were others. This is trickier than I thought it would be. Had a bit of a think back with a scrap of paper, more games to be considered than at first thought. A list of 18 looking back at me, time for some whittling. I think this one could use a bit of clarification. Votes for expansion packs get rolled into votes for the base game, but it's totally within the spirit of the thread to list an expansion as one of your games of the year. 10.) Waku Waku 7 - The best fighting game of its, or any, generation. 9.) Nitroplus Blasterz: Heroines Infinite Duel - Best fighting game of the year no matter what I have at #3. 8.) Clash Royale - HEY. THAT WAS A PRETTY INTENSE MONTH WE WERE ALL PLAYING THIS, WASN'T IT? 7.) Pokemon Go - HEY. THAT WAS A PRETTY INTENSE MONTH WE WERE ALL PLAYING THIS, WASN'T IT? 6.) Hard West - Turn-based strategy? Yes. This game is great. 5.) Titanfall 2 - Best shooter of the fall. Best love story of the year. The movement feels amazing and a robot chassis has a sword now. 4.) Overwatch - What can I say? Bored with it now but that was a fun month. Incredibly well designed and iterated. 3.) Street Fighter 5 - Yeah, I know. The actual GAME is great and it actually has... y'know, features now. Plus there's never been a fighting game that's more fun to watch and the pro scene is in pretty much the perfect state right now. Go here and marvel at the games. 1.) Pokemon Sun - I know many of you are still playing this but I'm the First Alola Pokemon League Champion. That was right there on the screen. I'm the first. I don't know why you people are waiting but you can probably be champion too? I didn't dismantle it or anything. Overwatch - HEY. THAT WAS A PRETTY INTENSE MONTH WE WERE ALL PLAYING THIS, WASN'T IT? Disappointed you didn't go this way with your Overwatch description. But OW deserves better than my snark and unlike those mobile games, I still hop in and play sometimes. This was my story this year as well for the #1 and #2 spots respectively (Stephen's Sausage Roll and RimWorld). I typically have a pretty instinctual Top Pick, a choice my gut immediately jumps to as my #1 pick. This year was a constant back and forth between SSR & RW. One day this pick, the next day the other. Still not sure if I made the right choice, but I'm mostly happy with my final decision. Last time I remember being this torn was in 2010 when I couldn't decide between Red Dead Redemption or Deadly Premonition for top honors. I think I went with RDR, but in retrospect should have given the nod to DP instead. The last Hitman game I liked was Hitman 2. For some reason or another none of the other titles in the series clicked for me. Amazing how the new game can rise like a phoenix after all these years. Looking back at 2016 in gaming as a whole, it was one of the best years in some time. So many unique experiences, both big and small. So many titles I never even got to. It's not even that I played much of the game - I don't even have my own account. But between weekend drives with the family, going new places to find new critters, taking walks through the neighborhood with my son, and all the interactions with random people about the game, Pokemon Go has been my single biggest gaming experience of 2016. Thanks to the generousness of a fellow GWJer, I was able to hop on the bandwagon and "team up" with Handsome Jack and Fiona as we try to elude death on every corner of Pandora! I played this like crazy until Overwatch dropped. After about a month or two I came back to finish building my Opus and to put those dust swilling chromed out goons back in their place as I became king of MY patch of the apocalypse. I never was a fan of the first 2 in this series, but starting at the 3rd one I was hooked! Add on some base building and I would log on just to make sure my settlements were "safe" and well stocked without even going out into the harsh world outside my corrugated walls. Not only do we have some esteemed crew here that worked on this game, but the mixture of tactical decisions on loadouts, movement and general bad-assery had me coming back again and again. What can I say, I have just under 100 hours using Junkrat alone! I don't get to play every single night, but the nights I do I have a great time with the GWJ crew and can even have a decent time slumming it in the PUGs for some extra loot boxes so I still get my fix. Yeah, I wasn't sure if it was okay to vote for an expansion when you'd voted for the base game in a prior year. Thanks for the clarification. I slid in Blood and Wine at #3, and put Factorio in at #5, just because I forgot it. 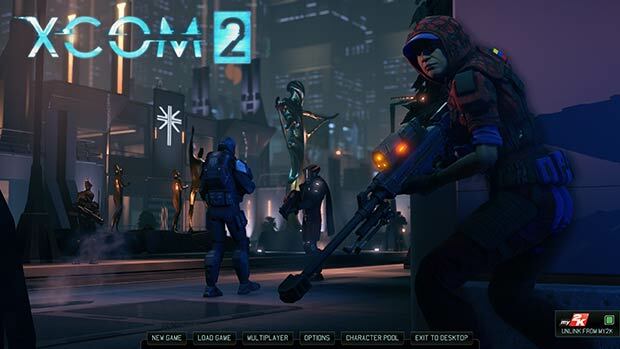 Firewatch and XCOM dropped off the bottom. I think of it as "the Dishonored rule". Dishonored got a lot of votes when it released, but the DLC releases were so good that those got a bunch of votes, too. Then the Definitive Edition rolled out on console and grabbed another round of players who voted for the base game plus the DLC in toto. It got to be too much of a hassle to try to sort out which votes were for Dishonored and which were for "The Knife of Dunwall" or "The Witches of Brigmore", so it all gets lumped together in the final tally. But since DLC packs are a new experience that you enjoyed and want to recognize, I want people to vote for them even if they previously voted for the base game. This same rule applies to mods, by the way, so if there was a major Skyrim mod this year that really reinvented the game for you, vote for it even if you first played Skyrim at launch. Same deal for remasters. I completely forgot about Pokemon Go. I probably spent more time with it than I did Halo 5 or Gears 4. I'm surprised it has not been mentioned more so far. Interested to know as well. I was not planning to have any expansions on my list, but yeah, some expansions are so immense that it could be justified. On the other hand "newcomers" who play a game with expansions should not have to figure out if they are voting for the base game or an expansion. A vote for an expansion should be the same as a vote for the base game. Edit: And Clock already confirmed that is how it is. Waste of typing! Might have to consider PoE expansions and Witcher 3 expansions. My list is already very overcrowded though - don't think I have managed to squeeze so many games decent into a year before. I'd say just don't overthink it. If it's new to you then it's fair game. I ranked CK2 DLC this year and it's hardly a game-changer on the larger scale, but it had enough unique content to draw me back in for another couple dozen hours. And regardless of that, proved to be some of my most memorable gaming of the year. Splitting hairs just seems to betray the spirit of the awards and the general easygoing nature of the GWJ community to boot. But I know some people like rules and guidelines, so I make them. This is the 2016 Community GOTY thread, not the 1992 Community TV Series of the Year thread. Witcher 3 and Stardew Valley please. Pfft, 2012. WHAT HAVE YOU DONE FOR ME LATELY, CCESARANO? Actually, who was it who used to post just screenshots in the "what are you playing this weekend" thread? That person is the master. The simplicity and politeness in this post made me smile. The funny thing is you guys are making me feel like a jerk for shouting at my TV when Blood and Wine won RPG of the year for the Video Game Awards. Funny thing: I thought about doing GIFs for mine this year, but don't have the software to keep my usual formatting and couldn't be bothered to find software for that purpose. WHAT HAVE YOU DONE FOR ME LATELY, CCESARANO? NOTHING! AND I LIKE IT THAT WAY! I did some tallying of all the games I beaten and overall played and I have over ten potentials for my list. I'm beginning to try and think of sublists so I can justify keeping some games off the top ten while still giving them their due. This was a pretty solid year, but the funny thing is, I also have a very definitive #1 at the moment because while I enjoyed a lot of games this year, none of them feel worthy of being Monarch of the Hill. The only one that does I see on the lower end of people's tallies, which has me feeling like a weirdo but it's also the one I just feel in my gut. But overthinking is all I have!